Whatever legal career you're aiming for, LSBU's Law courses have something to offer. 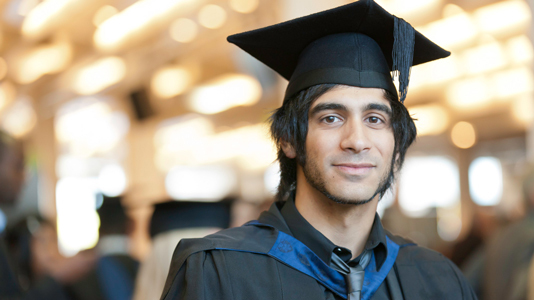 Many of our graduates go on to become solicitors or barristers. Additionally, changes in the legal services market are creating a rising demand for additional roles, such as paralegals and legal executives. A law degree is not just for aspiring lawyers. Law graduates are sought after in a wide range of sectors because of their exceptional analytical and communications skills. Whatever career route you choose to take, our Law degree programmes provide opportunities for students to become more employable. The clinic provides a free community-based face-to-face advice service. You’ll take instructions from the client, carry out research and give advice under the supervision of tutors and practising solicitors. The Law Division organises unique networking events with influential people working in the Law and career talks to maximise our students’ employability (please watch our video below). After successful completion of some of our optional modules, you are able to join the Chartered Institute of Legal Executives (CILEx) as members and become a more attractive proposition for employers recruiting paralegals. After 5 years’ qualifying work as a paralegal, you can become a CILEx Fellow and Legal Executive. A moot is a legal debate acted out in a courtroom usually involving a hypothetical case. We encourage you to take part in external mooting competitions. This compulsory second year module focuses on skills valued by employers and helps you find work placements or voluntary opportunities to prepare you for the world of work. The School has a strong commitment to social justice and social conscience – and this comes through strongly in the courses we offer. However, it's not just evident in what we teach, but also how we teach it. The Legal Advice Clinic offers our law students exceptional work experience opportunities, but it also provides a valued public service to the local community. There's a similar narrative behind StreetLaw, which is an outreach initiative where our law students engage with local school and college students to encourage them to better understand their legal rights and responsibilities. "By taking law into the classroom, LSBU law students get the opportunity to engage school and college students with the law and how it affects them," explains Louise Andronicou, Principal Lecturer in Law. "LSBU students participating in the project also get this opportunity to give something back to their community, at the same time improving their legal skills and employability."